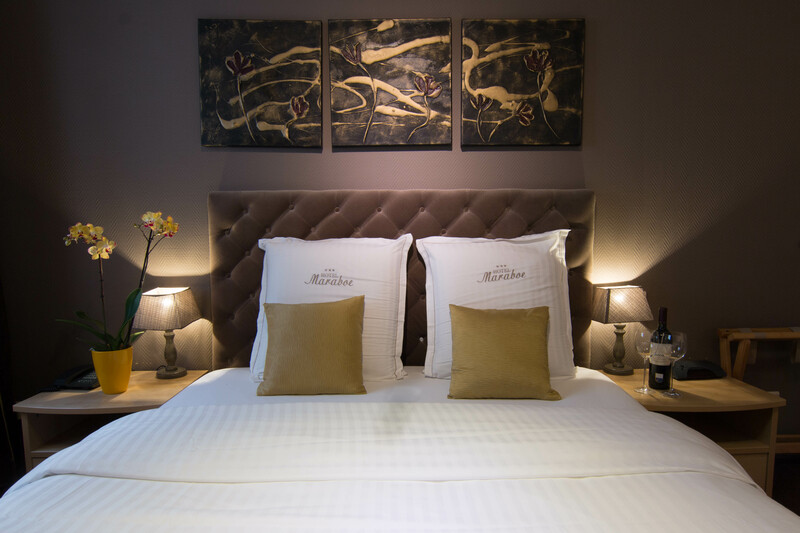 The charming "Hotel Maraboe" in Bruges is build in 1723 and is situated on the edge of the city centre. 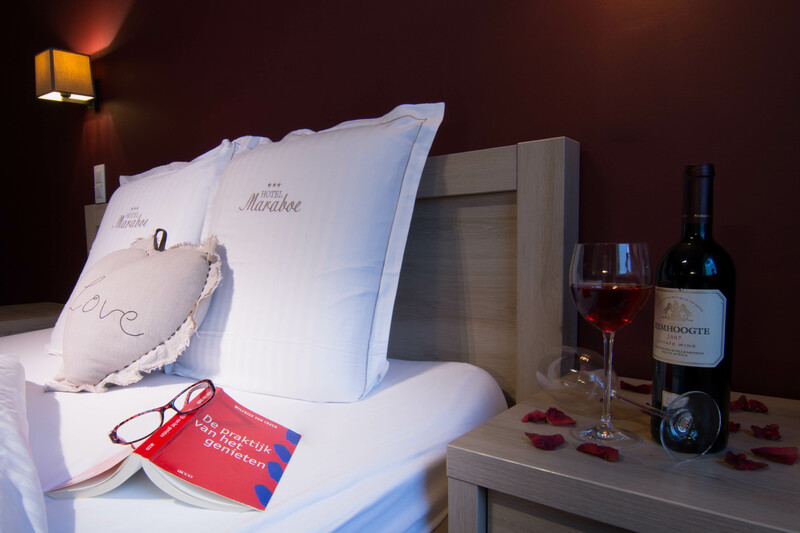 The Maraboe has everything a big hotel has and on top of that you will find here a homely atmosphere, a feeling the larger hotels just can’t compete with. 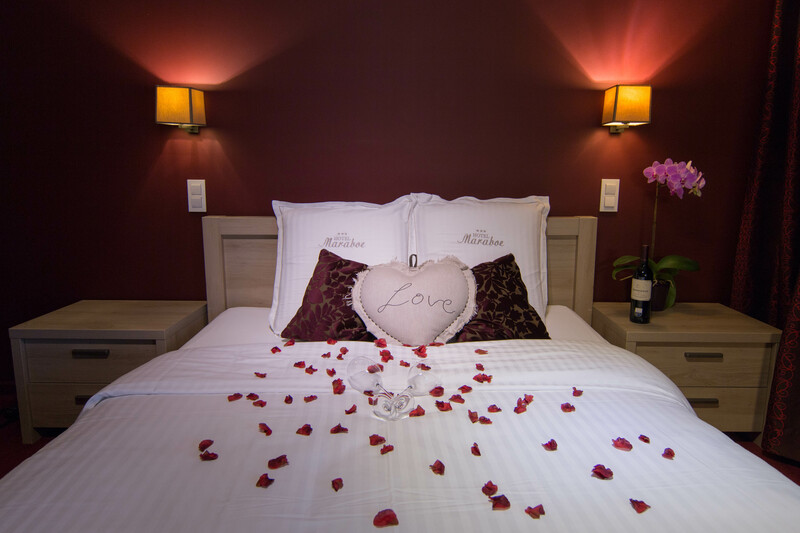 The Maraboe hotel is uniquely located a short stroll from the picturesque canals, the lovely " ’t Zand " and the concerthall. 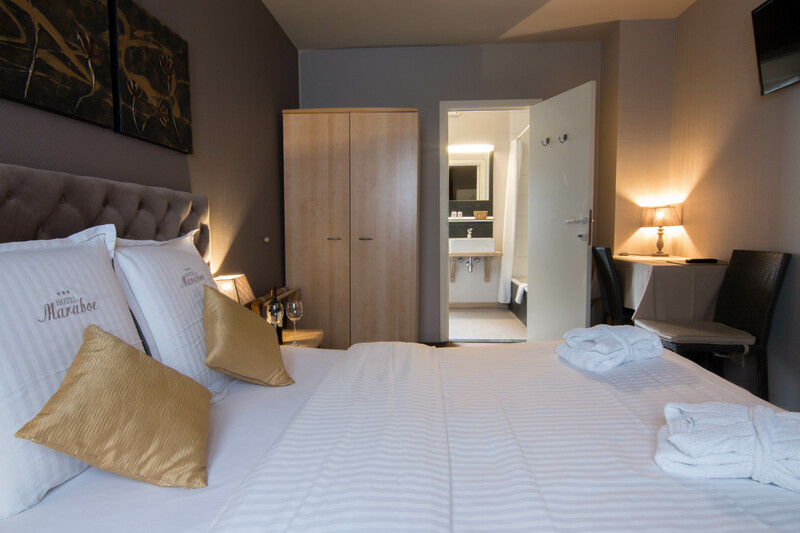 The warm and friendly family atmosphere means you are sure to enjoy your stay. You can also leave your car safely in the hotel grounds at 15€ a night. After a refreshing night’s sleep, you can enjoy an ample, tasty and healthy breakfast-buffet. Every detail has been taken care of and is served in the delightful breakfast room. All rooms are NON SMOKING! Still some questions, just send us an E-mail. We hope to welcome you to our hotel very soon! 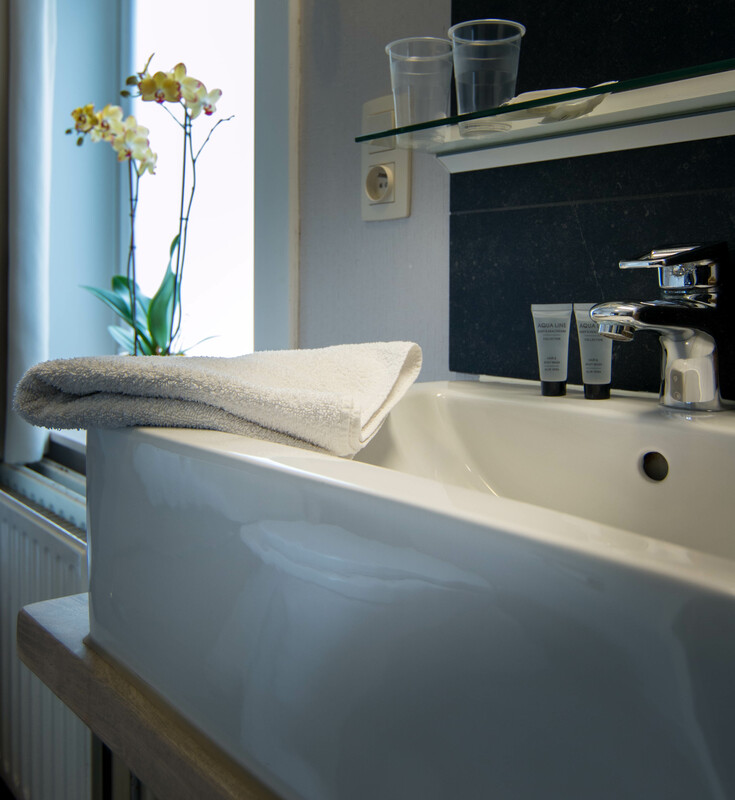 Each room is equipped with a flat screen TV, alarm clock, Ensuite Bathroom, Toilet, Shower or Bath, Heating. Hair dryers and Free Toilet accessories are present in the bathroom. Citytax is not encluded : 2,12€ per person, per night. Parking can be reserved (recommended) at 15 € per night. Children under 2 years stay free of charge when using existing beds. Baby cots are possible and costs 5 € per night. Dogs are welcome at hotel Maraboe subject to reservation in advance. Suppl. From 5 € / night for a small dog and 10 € / night for a big dog.